3click.TV is always changing and we've had added our new blog to keep you informed. Watch for new show announcments and monthly contests! We stream to more TV to more devices than anyone. Enjoy and keep watching. 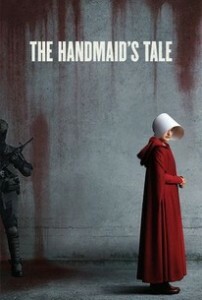 The drama series based on the novel of the same name written by Margaret Atwood is set in a dystopian future where fertility rates have dropped and the few fertile women remaining, called Handmaids, have been forced into servitude; they are ritually raped so they can get pregnant and bear children for wealthy couples. Season 1 follows the lives of several members of this society: Fred (Joseph Fiennes) and Serena Joy (Yvonne Strahovski) are a powerful couple who own Handmaid June (Elisabeth Moss); Emily (Alexis Bledel) is a lesbian who escaped death by being made a Handmaid; Janine (Madeline Brewer) is a Handmaid who won’t accept her condition; Aunt Lydia (Ann Dowd) is the woman in charge of the Handmaids. and let others know! We continue to be 100% ad free and user supported. More shows – more choices! We recently surpassed 700 Series. All complete and ad free as usual. We have upgrade some of our servers and new equipment will be added over the next 4 weeks bring you faster more reliable streams. Sunday night’s season finale of True Detective, the HBO crime drama phenomenon that has attracted nearly 11 million viewers per episode, became a (murder) victim of its own success, crashing HBO GO and launching the inevitable social media cri de coeurs. Select fans who tried to access the show on HBO GO were greeted with the appropriately titled “Fatal Error” and a continuous revolving progress circle, causing more than one “Time is a flat circle” joke on Twitter and Facebook. “Due to overwhelmingly popular demand for #TrueDetective, we’ve been made aware of an issue affecting some users,” HBO GO tweeted not long after the show’s 9 p.m. EST start time. “Please try again soon.” As The Daily Beast noted, HBO has approximately 28.7 million subscribers, meaning that around 38 percent of overall HBO subscribers were watching the show. True Detective is an American television anthology crime drama series on HBO created and written by Nic Pizzolatto, with the first season directed by Cary Joji Fukunaga. Season one stars Matthew Mc Conaughey, Woody Harrelson, Michelle Monaghan, Michael Potts, and Tory Kittles, and uses multiple timelines to trace two Louisiana State Police Criminal Investigations Division homicide detectives’ hunt for a serial killer in Louisiana across seventeen years. The series premiered on January 12, 2014, and consisted of eight episodes which concluded on March 9, 2014. The series has received critical acclaim. 3click.TV is happy to announce we have the complete series of House Of Cards. This American political drama television series, developed and produced by Beau Willimon. It is an adaptation of a previous BBC miniseries of the same name and is based on the novel by Michael Dobbs. Kevin Spacey is a Congressman works with his equally conniving wife to exact revenge on the people who betrayed him.